Is the market turning bullish this week? Several signs point to positive movements in the market which could trigger the end of the bear market. Bitcoin climbed nearly 3% on Monday, breaking above $3,700 finally. 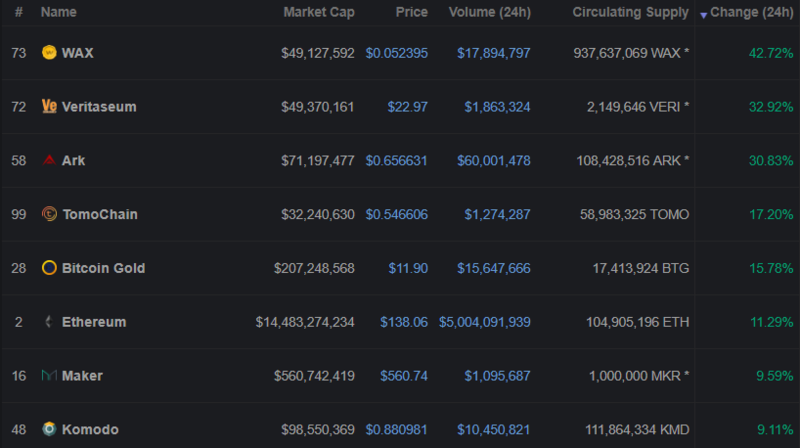 The Top 10 all saw green with Ethereum climbing over 11% on the day. 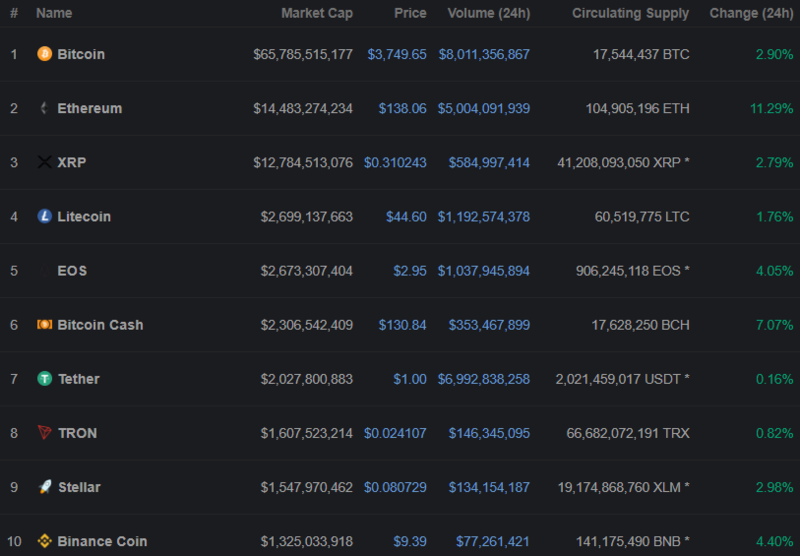 More noticeable than all the green on what is typically known as "bloody Monday"0 following the common tradition of coins dumping on Mondays, as the increase in market capitalization as well as total trading volume. The market cap climbed over $5 billion on the day to over $126 billion, with the overall 24 hour trading volume seeing a massive surge. Over $5 billion in trading volume has been added since Sunday, pushing the volume up to $26.5 billion. The increase in trading volume makes the currently volume, the highest if 2019, and $10 billion more than one month ago. The market appears to have picked up some steam in recent days with several altcoins seeing huge jumps in price. One thing does look certain and that is that lots of crypto projects look primed for a breakout. Could this be the end of the bear market? Let's hope so. Alts obeying the market driver. Majors started turning around on Jan 30th, when 3430 was crossed.